Planning a Nashville wedding? Here, Nashville residents are sharing unique wedding locations in and around Nashville, wedding favors with a local flair, and some of the best flowers in the Nashville area. Touring the Fontanel mansion is definitely something for your Nashville Bucket List! Here’s how much it costs + my photos showing what the log home is like. 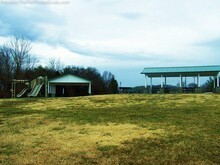 Looking for a city park in Franklin, Tennessee to have a wedding party — like a rehearsal dinner? Here are our recommendations for the best Franklin, TN parks with pavilions to accommodate a wedding party — rain or shine! 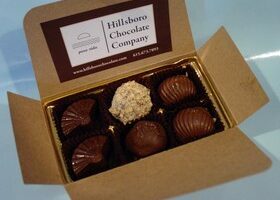 From chocolate fixes to kids’ holiday gifts, corporate gifts and wedding favors, the Hillsboro Chocolate Company has something for every occasion. The Pralines are my favorite. How to find a Franklin, Tennessee florist or flower shop to deliver flowers or gift arrangements to places near Franklin, TN. Which national companies — like FTG and Teleflora — have florists in Franklin. Plus local florists and flower shops that rate highly.